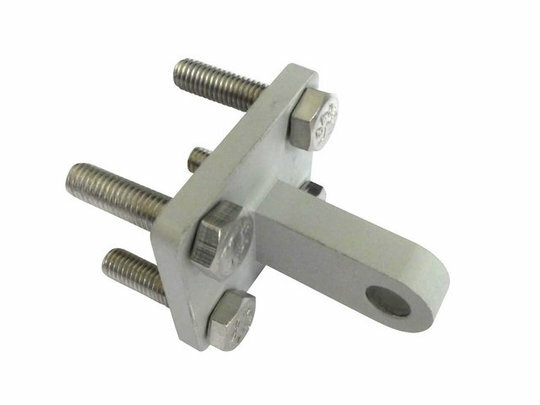 This compact aluminium mounting bracket is designed to be used with slotted (clevis) type mounting points, such as those on our GR-RK1 linear actuator. 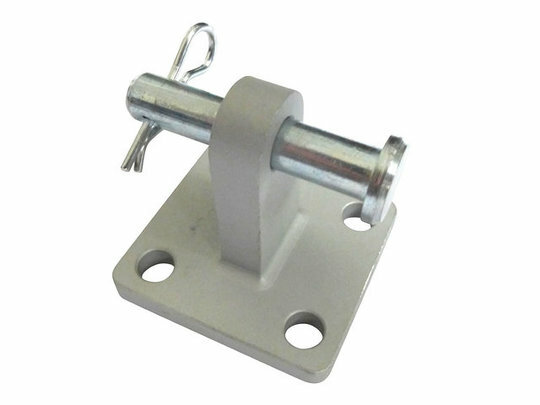 It has a 6mm mounting hole and is supplied with a 30mm long (6mm diameter) steel clevis pin. Each bracket is CNC milled from a billet of aluminium and is shaped to facilitate rotation by as much as 180 degrees around the pivot. 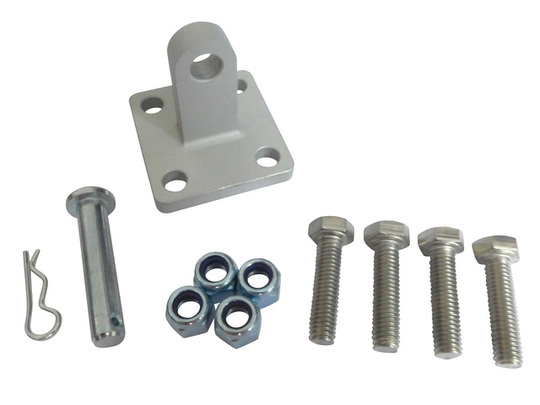 The rectangular footprint of the base is 32mm x 30mm, and has four 5mm diameter holes for mounting bolts or screws (4pc M5 bolts and M5 nyloc nuts are included). 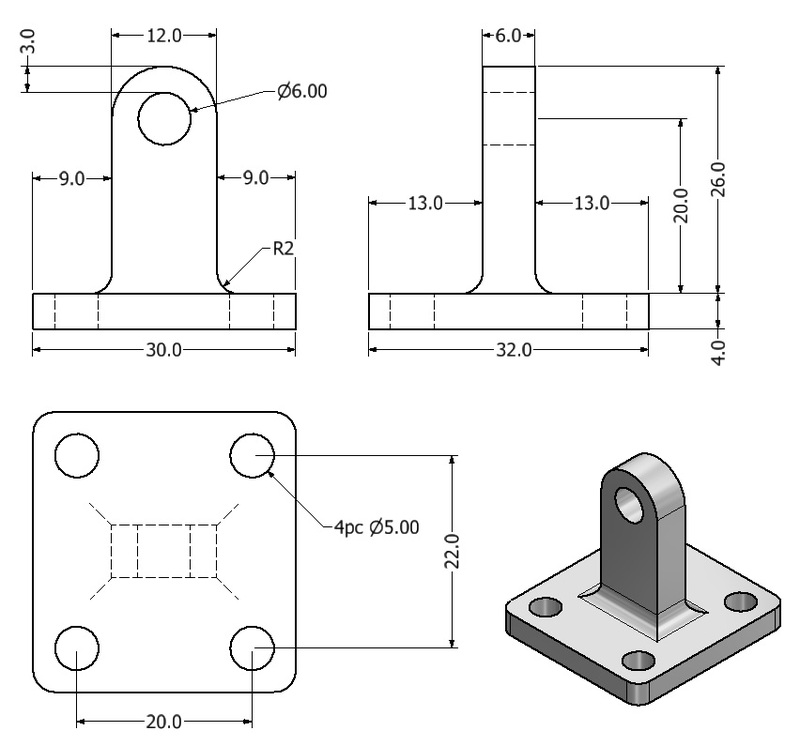 Each bracket is suitable for a steady load of up to 50kg (110lbs). Each bracket weighs 50g including all accessories (1pc 6mm pin & pin-clip, 4pc M5 bolts and nyloc nuts).